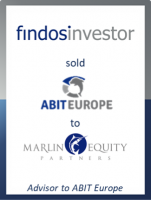 GCA Altium acted as exclusive financial advisor to the shareholders of ABIT Europe GmbH, the leading European claims and credit management software vendor, on the sale to Marlin Equity Partners. This transaction exemplifies GCA Altium's deep domain expertise and significant transaction experience in the enterprise FinTech software sector. With dual headquarters in Meerbusch, Germany, and Nieuwegein, the Netherlands, ABIT provides a comprehensive suite of software solutions for credit and claims management, risk and impairment, as well as a cloud-based business intelligence and data analytics solution – named Cwize – designed to monitor and optimize debt collection performance. "As a pioneer in claims and credit management software, ABIT is at the forefront of industry innovation, which, along with our focus on customer service, allows us to deliver best-in-class products to our customers," said Christian van Laak and Erik Koch, co-Managing Directors of ABIT. "We are excited to partner with Marlin and leverage their deep sector expertise and operational resources as we continue to diversify into new geographies and product niches." GCA Altium acted as financial advisor to the shareholders, who are proud of ABIT’s positive development under their ownership and thank GCA Altium for their valuable support during this intense transaction. After the successful internationalization in 2016, the shareholders are confident that now is the right time for ABIT to exploit further growth options together with a new partner. Sascha Pfeiffer, Managing Director at GCA Altium, commented: "ABIT operates in the highly attractive market for enterprise FinTech and is perceived as the European specialist for claims and credit management software. We are convinced that the group will continue to flourish under Marlin’s ownership." The transaction was signed in July 2017. Terms of the transaction were not disclosed.